الخيار الأفضل للحصول على المتعة والاسترخاء، Ibis Styles Swan Hill Resort يقع في منطقة رائجة من أفضل مناطق المدينة. يمكن من هنا للضيوف الاستمتاع بسهولة الوصول إلى كل ما تقدمه هذه المدينة النابضة بالحياة. يوجد العديد من المعالم السياحية الأكثر جذبًا للسياح في هذه المنطقة. 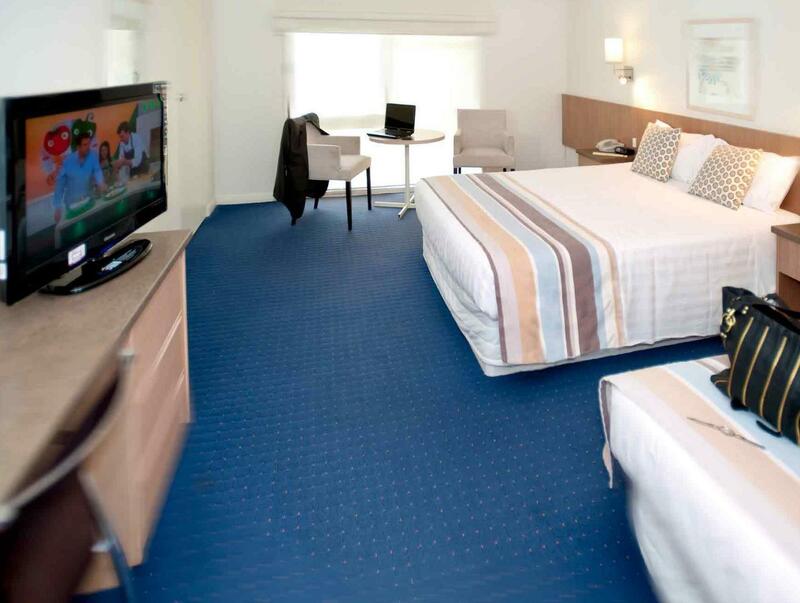 يعمل Ibis Styles Swan Hill Resort على ضمان إقامة مريحة لضيوفه من خلال خدماته الممتازة وحسن ضيافته. يمكن لضيوف الفندق الاستمتاع بالميزات التالية على أرض الفندق: مرافق مخصصة لذوي الاحتياجات الخاصة, تسجيل وصول/خروج سريع, تخزين الأمتعة, واي فاي في المناطق العامة, صف السيارات. لقد جهزت هذه الإقامة الفندقية بعناية فائقة لتوفر مستوى عالي من الراحة. في بعض الغرف يجد النزيل تلفزيون بشاشة مسطحة, بياضات, مناشف, اتصال لاسلكي بالإنترنت, حوض الاسترخاء. كما أن مجموعة الخدمات الواسعة الموجودة في الفندق لضمان راحتك تترك لك الكثير من الخيارات لقضاء وقتك أثناء فترة إقامتك. 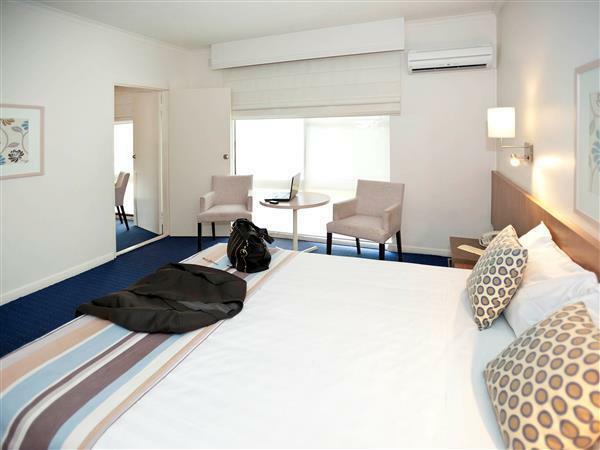 استمتع بخدمات لا يعلى عليها وعنوان ذو اعتبار في Ibis Styles Swan Hill Resort . 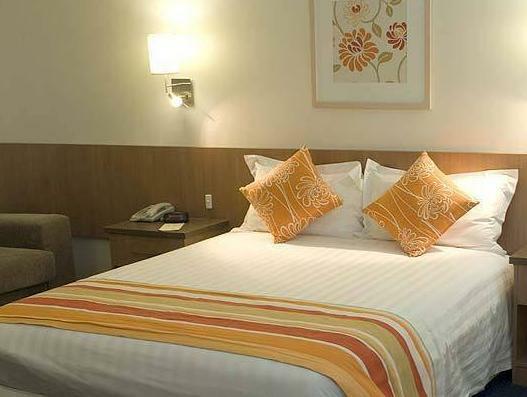 The room is nicely refurbished, good bed, good shower. The size is what you expect from a motel room. Facilities include inside and outside pool, minigolf, table tennis, air hockey, pool biljart. The building for these facilities is rather dated though, but that didn't stop us enjoying the facilities. location, nice and shady, easy to get to. our stay was very pleasant, quiet, and nice surrounds. My experience with country hotels is that they often have very poor lighting making it difficult to work. Perhaps they expect to watch TV all the time and hit the bar fridge. This is not the way I do things, so I usually take an extra desk light, extension cord and a plugboard for all my USB stuff. While I needed the cord and the plugboard, I didn't need to use my desk lamp. The lighting in the room was more than adequate. This may seem a minor issue for many but for me good lighting is important. The continental breakfast was good but since breakfast is the only meal available at the hotel, there is not much to add about the food. The motel was a little low on amenities, for example I didn't find any kleenex which is generally available at most other places but all up I was quite happy with the visit. One of the regular spots I use as it is a nice room with a comfortable bed. Continental breakfast a bit limited, but overall pretty good. I felt that things could of been better the shower head wasn't good and when you showered it kept going hot and cold. There was no information in room about the facilities available. Also not crockery or utensils considering they offered a toaster great to toast your bread then nothing to spread your butter or to place it on. The indoor pool looked murky and un iinviting and the games room was very tired. Considering I paid $169 per night I expected a little more. Very comfortable. Good breakfast with awful coffee. The location was within easy walking distance to shops and pioneer settlement. Rooms were comfortable and clean. Staff were very helpful. Facilities were excellent, plenty of activities to do. After a long day on the road we expected more from our stay. Basic accommodation at City prices although the home cooked food was lovely. The motel met our needs as travellers, it's location was central to the shopping centre and the staff were very efficient, returning my glasses left in the dining room. The evening meal in the restaurant was sub standard and the selection limited, cafe meal. At restaurant prices. Overpriced for what was offered. Close to shops. Close to where we needed to go while staying at Swan Hill. 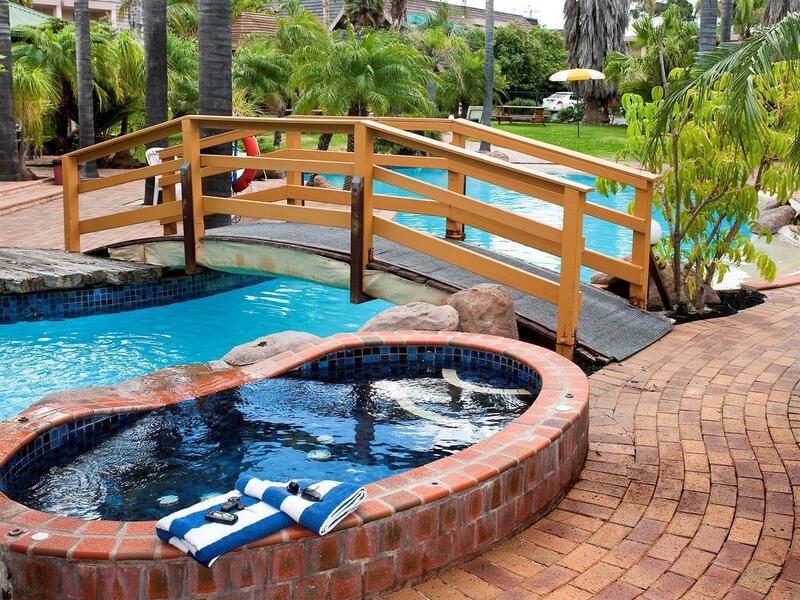 Pleasant outdoor swimming pool area, light bright room, walking distance from town. 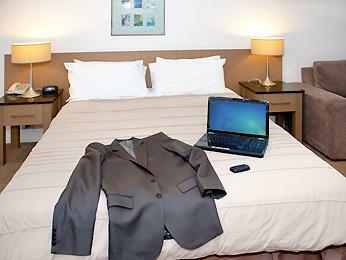 Room had recently been renovated and appearance was very fresh & clean. The only issue was that there was an unpleasant odor each time we entered the room, wasn't so noticeable after your nose got used to it. Other than that the room was quite large. We booked a queen room and got a room that also had two single beds. Bathroom was spacious, included Continental breakfast was plentiful. Good value for money and yes we would return another time.